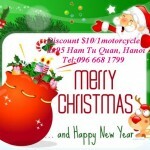 Christmas holidays and welcome the new year we will discount $ 10/1 motorcycle when purchased at my store - 95 Ham Tu Quan . Get in touch whenever possible. Just send us your address Tell: 0966681799 Please call/ SMS before coming, We can pick up you for free, Wishing everyone a peaceful Christmas and a new year full of happiness. 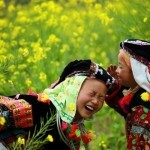 CHRISTMAS AND HAPPY NEW YEAR !